Why are public health students joining us in New Orleans? “I just want to be a sponge, just soaking up all the information from great minds,” said Tarre Stanley, who’s pursuing an MPH in epidemiology at Florida A & M University. Stanley and Voith are just two of the many students who were attending yesterday’s National Student Meeting, which is organized by APHA’s Student Assembly. We wanted to know more about tomorrow’s public health practitioners, what drives them to work toward a healthier nation and what they hope to take home from the APHA Annual Meeting. Tomia Austin is back in school for a DrPH in behavioral health after 15 years in the workforce. “I’m here to learn,” she said. And she’s interested in how science can help her spread the important message of hydration among those living with sickle cell anemia. Texas A & M students Crystal Perez, Kirsten Cannon and Betsy Cochran said they’re excited to meet other people in public health, to hear from five former surgeons general and Acting U.S. Surgeon General Boris Lushniak at the Monday General Session, and to get a better handle on what public health is, exactly. Students are excited, too, to meet the public health rock stars whose names are on the spines of some of their textbooks. Jennifer Warren, for example, an assistant professor at Rutgers, will be talking about community- and place-based approaches to health communication during a Tuesday morning session. 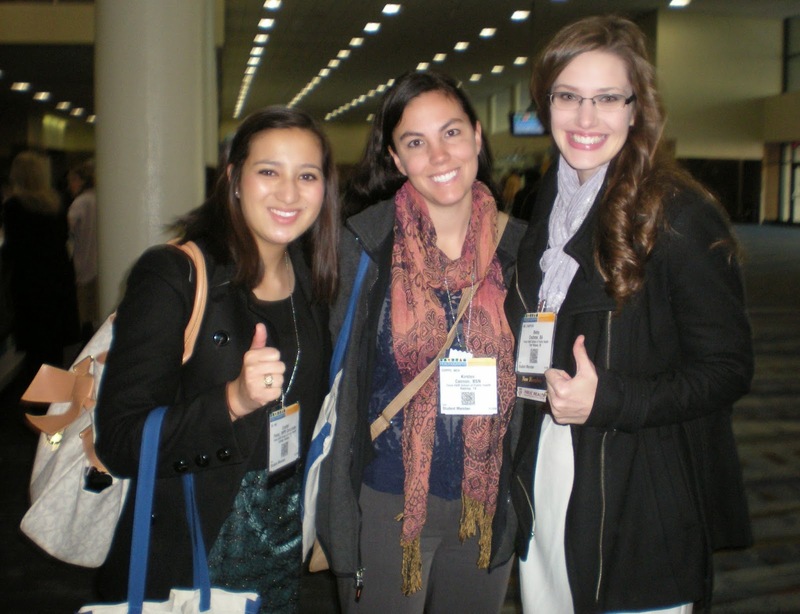 Many students, some of whom are at an APHA Annual Meeting for the very first time, just want to talk to everyone they can about public health. “I came to make good connections, just find out more about what’s going on in public health on a deeper level than what we learn in the classroom or see on the Internet,” said Aaron Judson, who’s studying environmental epidemiology at Florida A & M.